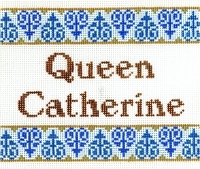 color or other changes. 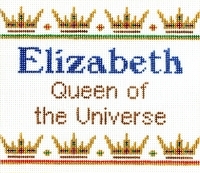 I will let you know the expected delivery time when you place the order; it will typically be two to three weeks. 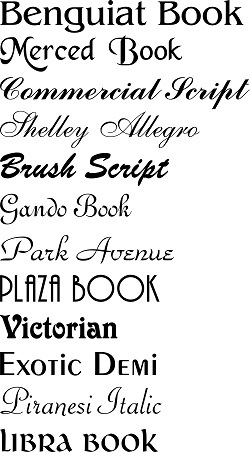 Available with any word on the third line, not just those shown here. 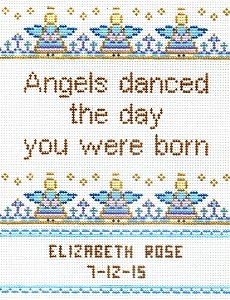 When ordering, specify #6271 and third line desired. 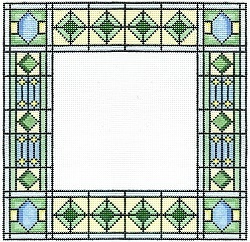 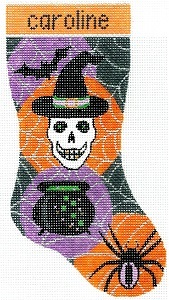 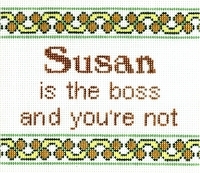 Email me at lwneedlepoint@gmail.com to order. 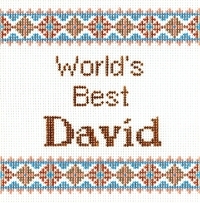 Create your truly own personalized sign to use your favorite decorative stitches on. 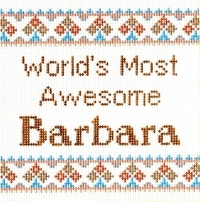 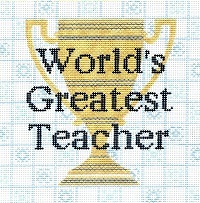 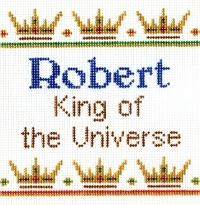 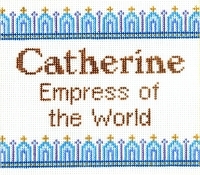 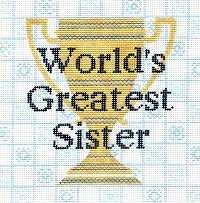 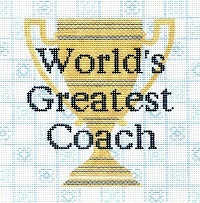 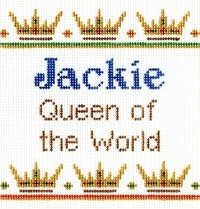 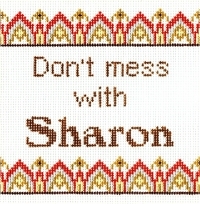 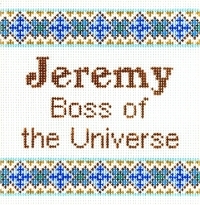 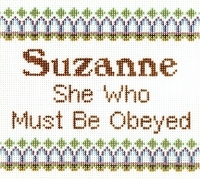 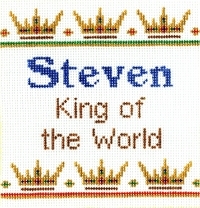 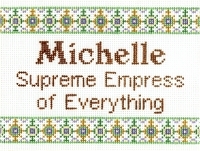 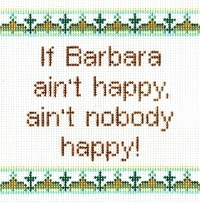 Choose the wording, colors and type style; email me at lwneedlepoint@gmail.com to order. 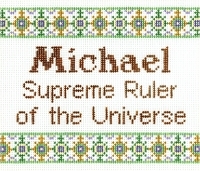 Create your truly own personalized sign with any name or word of your choice. 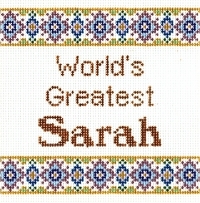 Choose the wording, colors and type style; email me at lwneedlepoint@gmail.com to order. 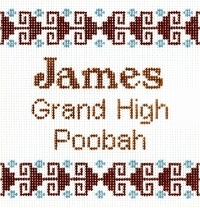 Lettering will be re-sized to fit, depending on length of name. 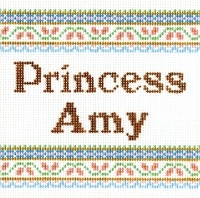 Can be ordered with lettering.